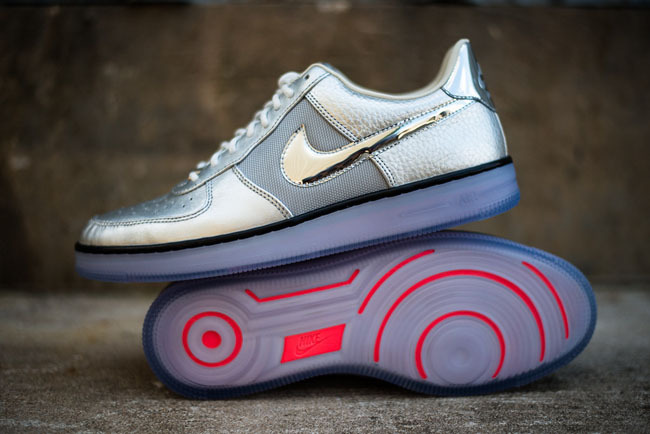 Nike's slimmed-down version of the AF1, the Downtown, has returned in a Metallic Silver colorway. 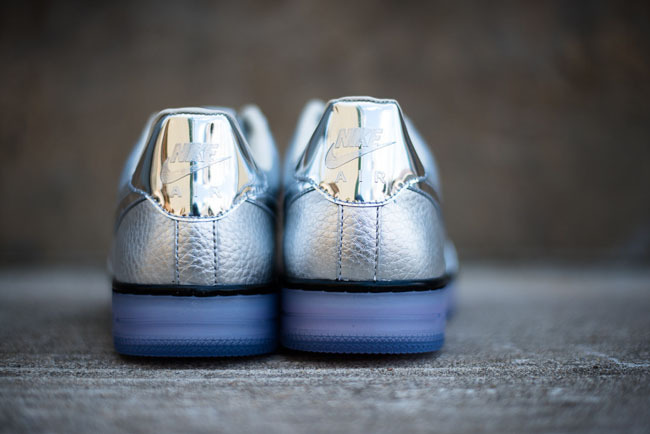 Nike's slimmed-down version of the AF1, the Downtown, has returned in a Metallic Silver colorway. 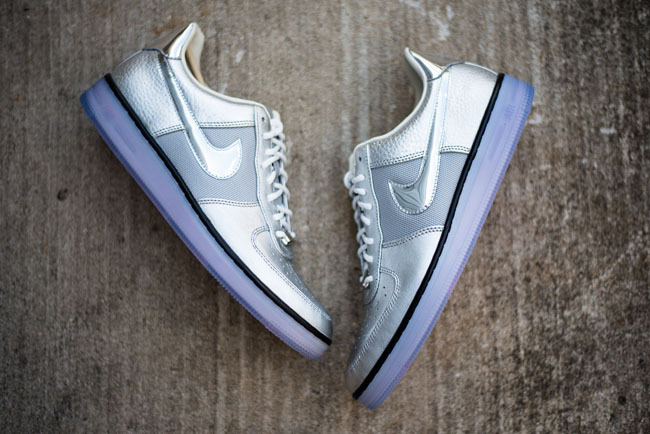 Features include an ice midsole/outsold, textured leather on the upper, mesh pannels, and a reflective chrome Swoosh. 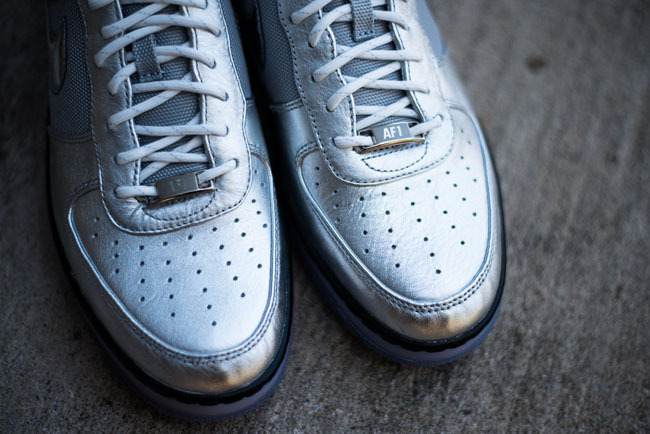 This sneaker is available now through Sneaker Politics, and retails for $135. 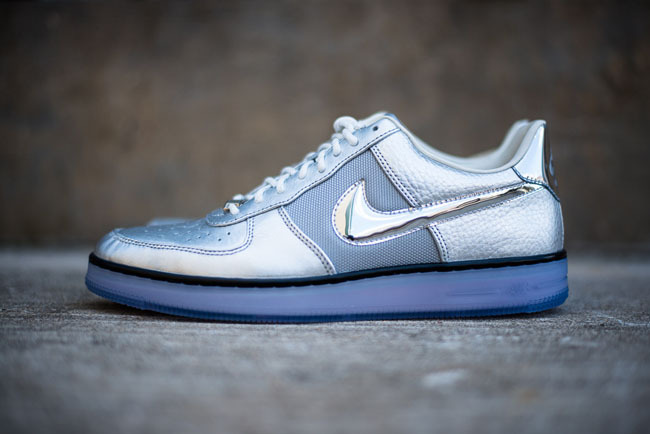 What are your thoughts on the Downtown? 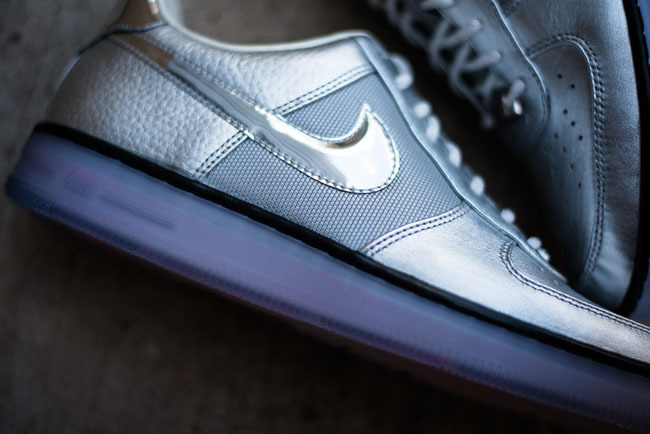 Do you prefer the standard AF1?